Running on Pixie Dust: Gearing up for a Cars #DisneySide @Home Celebration! Gearing up for a Cars #DisneySide @Home Celebration! With our #DisneySide @Home Celebration less than 2 weeks away, planning is in full swing. I've loved looking at Pinterest, Instagram, and following the adventures of fellow party hosts on Facebook and Twitter for ideas as well as tapping into some of my own creativity. Invites for our party were sent via Facebook and we're anxiously awaiting responses from family and friends with preschool aged kids who would love to come and celebrate a Cars fun-filled day with us! As any party host knows, one of the first things to decide upon is the menu. An easy way to let your Disney Side show at any party you throw, is to theme your food with the event. 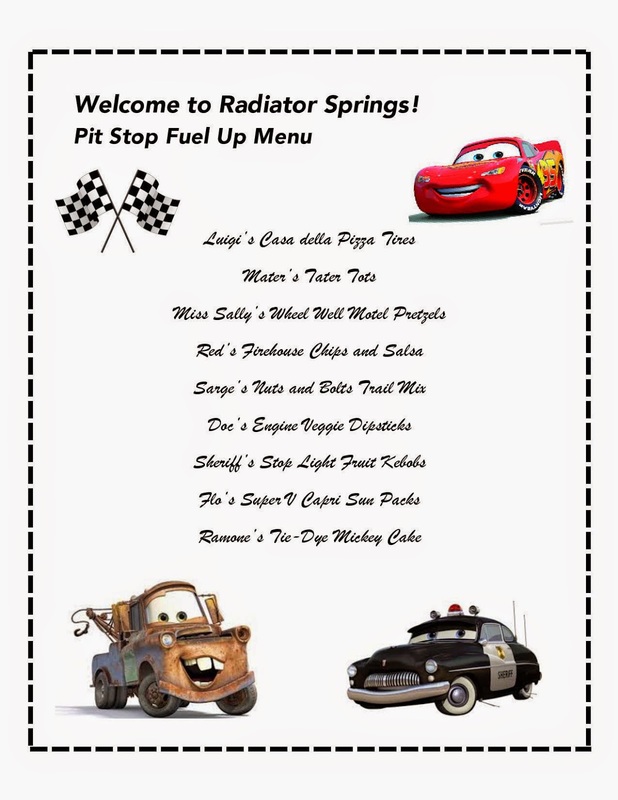 I had an idea of some of the menu items I wanted to serve and then tried to come up with creative ways to connect the food to characters from Cars. Between some of my own ideas and the ones I found on Pinterest, here is what I've come up with for our menu. During lunch, I'll be playing the Disney Parks Vacation Planning DVD. And, as part of the party favors guests will receive, I'll be sending home several Disney goodies and some sweet treats for the kids too! The other part of the party that I've been anxiously planning is the games! The preschool crowd can be difficult to keep happy for a long period of time, so I've been trying to find games that are short and to the point while also being age-appropriate for the kids. Included in my Disney Side party box were two games that I plan to incorporate - Pin the Smile on Mickey and Disney Bingo. The Disney Bingo might be tough for little ones to navigate on their own, but I thought it would be fun to play one quick game and encourage parents and kids to play together. 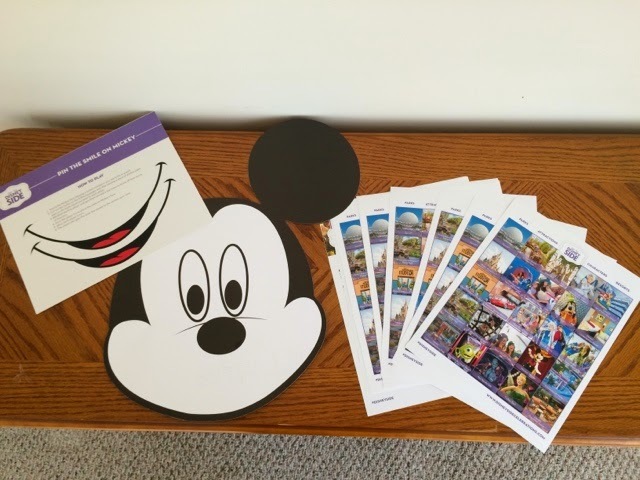 The Disney Bingo winner and winner of Pin the Smile on Mickey will be treated to prizes that were provided to me. Some of the games in our Disney Side celebration box! I also found on Pinterest an idea for a game - Guess Which Cone the Car is Under. Inspired by the Cozy Cone Motel, a car is hidden under one of three orange cones. The cones are then switched around while the kids watch. They then have to guess which cone the car is under. I'm going to use the Cars stickers from my Disney Side party box as prizes for all kids that play the game. Now it's crunch time to get the final details pulled together! I can't wait to share how the party went when it's all complete! For more ideas on planning your own party, check out www.disneysidecelebrations.com and follow #DisneySide on social media.